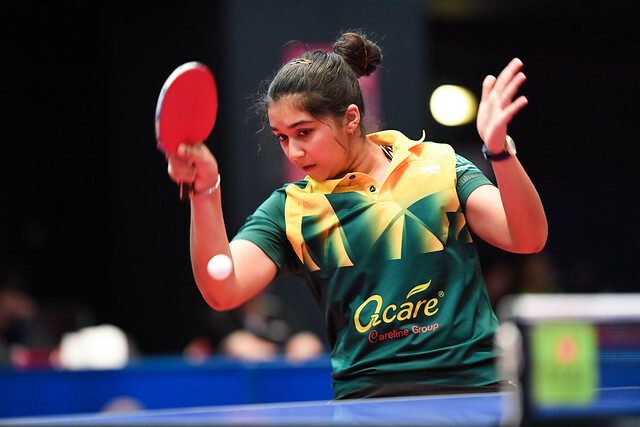 First place in the initial stage group; such was the situation when matters came to a conclusion for the leading outfits in the Junior Girls’ Team event on the evening of Wednesday 2nd August, at the Hang Seng 2017 Hong Kong Junior and Cadet Open. In the majority, a series of emphatics wins was the order of proceedings. China, the top seeds, with Liu Weishan, Qian Tianyi and Shi Xunyao on duty reserved top place in their group without the loss of a single match. It was the same for Japan ‘A’, the no.2 seeds, who selected from Ayana Kadosaka, Miyuu Kihara, Miyu Nagasaki and Kana Takeuchi, as it was from the next team in the order of merit. Represented by Chen Ting-Ting, Chen Ying-Chen and Su Pei-Ling; Chinese Taipei ‘A’ secured pole position. Likewise three-nil wins were recorded in every contest. However, for the no.4 seeds, the Hong Kong ‘A’ Team trio formed by Fung Wai Chu, Wong Chin Yau and Wang Liyong, life was more exacting. An impressive three-nil win was posted against the Singapore outfit comprising Goi Rui Xuan, Pearlyn Koh Kai Xin and Wong Xun Ru but in their very next fixture, against Thailand’s Natkamon Kamkorn, Naja Mekamporn and Jinnipa Sawettabu the full five matches were needed to secure victory. The player to cause the hosts problems was Jinnipa Sawettabut. In the second match of the fixture she accounted for Fung Wai Chu (11-7, 12-10, 11-5), before in the fourth contest overcoming Wong Chin Yau (11-9, 12-10, 4-11, 5-11, 11-9). Defeat for Fung Wai Chu but she was to prove the heroine; in the concluding match of the fixture, she beat Naja Mekamporn in five games (9-11, 11-3, 4-11, 11-8, 11-2) to seal the victory. Earlier, in the opening match of the engagement, Wong Chin Yau had overcome Naja Mekamporn (11-5, 8-11, 11-7, 13-11), Wang Liyong had accounted for Natkamon Kamkorn (11-6, 9-11, 11-5, 12-10). A narrow reverse but a three-one win against Singapore secured second position in the group for Thailand and thus a place in the quarter-finals. Mainstay of the success against the Singaporeans was Jinnipa Sawettabut. In tense full distance five games duels, she beat Wong Xin Ru (11-9, 6-11, 9-11, 11-5, 11-8) and Goi Rui Xuan (11-13, 12-10, 4-11, 12-10, 12-10). 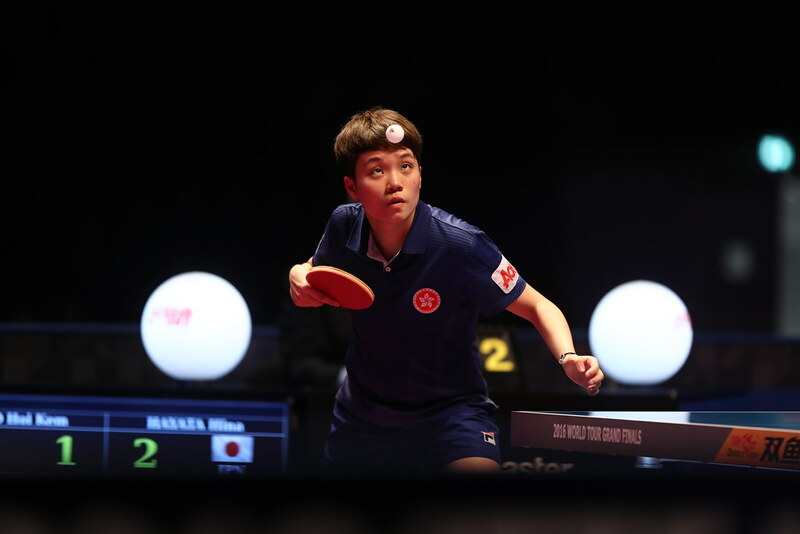 Runners up spot for Thailand; it was the same for the Japan ‘B’ Team duo of Satsuki Odo, Yumeno Soma and Yukari Sugasawa, as it was for the Chinese Taipei ‘B’ Team trio formed by Liang Jing-Jing, Wen Rue-Ling and Yu Hsiu-Ting. Likewise, it was second spot for the team comprising Singapore’s Tan En Hui and Eunice Lim who lined up alongside Sweden’s Jennie Edvinsson and Rebecca Muskantor. Proceedings in the Junior Girls’ Team event conclude on Thursday 3rd August.